Christmas is fast approaching and I know when I order online, I like to know if I'll get the item in time for Christmas. 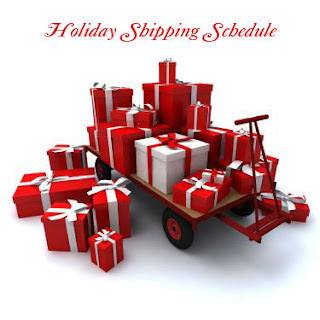 The good news is, there is still time to have your CrystalAllure jewelry packages sent to arrive in time for Christmas. To have your jewelry package arrive in time for Christmas, just place your order no later than midnight (EST) December 19th, 2008. Your CrystalAllure.com purchase* will arrive in our beautiful signature chocolate box -ready for gift giving! *Please note: Sale items and some gift items will be packaged in our black organza gift bag.